Exporter of a wide range of products which include lamivudine tablets, lamivudine and zidovudine tablets, nevirapine tablets, efavirenz tablets, lamivudine zidovudine and nevirapine tablets and stavudine. We are leading exporter and manufacturer of Lamivudine. 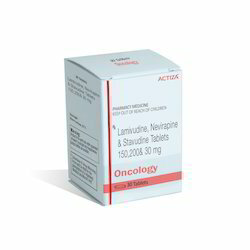 Lamivudine Tablets exporter in India. We are leading exporter and manufacturer of Lamivudine + Zidovudine. Zidovudine prevents the multiplication of HIV virus in human cells. Thus stops the HIV virus from producing new viruses. Lamivudine and Zidovudine Tablets exporter in India. We are leading exporter and manufacturer of Nevirapine. Nevirapine prevents the multiplication of HIV virus in human cells. Thus stops the HIV virus from producing new viruses. Nevirapine Tablets exporter in India. We are leading exporter and manufacturer of Efavirenz. Efavirenz prevents the multiplication of HIV virus in human cells. Thus stops the HIV virus from producing new viruses. Efavirenz Tablets exporter in India. We are leading exporter and manufacturer of Lamivudine + Zidovudine + Nevirapine. Lamivudine Zidovudine and Nevirapine Tablets exporter in India. We are leading exporter and manufacturer of Stavudine. Stavudine prevents the multiplication of HIV virus in human cells. Thus stops the HIV virus from producing new viruses. Stavudine Tablets exporter in India. We are leading exporter and manufacturer of Lamivudine and Stavudine. Lamivudine and Stavudine Tablets exporter, Lamivudine and Stavudine Tablets manufacturer, Lamivudine and Stavudine Tablets supplier in India. We are leading exporter and manufacturer of Lamivudine Nevirapine and Stavudine. Lamivudine Nevirapine and Stavudine Tablets exporter, Lamivudine Nevirapine and Stavudine Tablets manufacturer, Lamivudine Nevirapine and Stavudine Tablets supplier in India. We are leading exporter and manufacturer of Zidovudine. Zidovudine Tablets exporter, manufacturer, supplier in India. We are leading exporter and manufacturer of Tenofovir,Lamivudine and Efavirenz Tablets. Tenofovir Lamivudine and Efavirenz Tablets exporter in India. We are leading exporter and manufacturer of Valganciclovir Tablets. Valganciclovir prevents the multiplication of the virus in human cells. Thus stops the virus from producing new viruses. Anemia, Diarrhoea, Decreased white blood cell count (neutrophils), Breathing difficulty. Valganciclovir Tablets exporter in India. We are leading exporter and manufacturer of Valaciclovir Tablet. 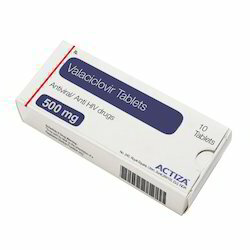 Valacyclovir prevents the multiplication of the virus in human cells. Thus stops the virus from producing new viruses. Valaciclovir Tablets exporter in India. We are leading exporter and manufacturer of Indinavir Sulphate. Indinavir prevents the multiplication of HIV virus in human cells. Thus stops the HIV virus from producing new viruses. Indinavir Tablets exporter, manufacturer, supplier in India. Looking for Anti HIV ?